Select your state or registry to begin. What Other Techs are Saying. 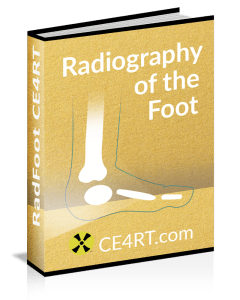 Our most popular course, the all in one 24 credit course "Radiography of the Upper Extremities" is everything most techs need to fulfill their ARRT* and state X-Ray CE requirements for general radiography in one shot. Good in all 50 states. You can get your credits done in one shot today. General Radiogrophy and radiation protection courses to meet CE requirements for ARRT*, NMTCB, registries for Canadian provinces, and and all US States and Territories. Get credits today. Courses designed to meet California's unique and specific requirements for both full and limited licensed X-Ray techs, as well as supervising physicians. Courses include Digital radiography and Fluoroscopy accepted by California dept of health, radiologic health branch. The great state of Texas has unique requirements for X-ray techs. These courses are accepted by the Texas Medical Board and offer CE Credits for full and limited license requirements. X-Ray techs in Florida are required to get CE credits only from approved providers. We are approved and offer courses for full and limited licensed FL Techs, and submit credits electronically to the FL Dept of Health. We offer mammography continuing education courses guaranteed to meet mammography CE requirements for ARRT*, MQSA, and all 50 states' registries. Get credits today. Digital radiography courses that cover radiation protection for technologists in every US state and Canada. Additionally, these courses meet the digital radiography CE Credit requirement for full and limited licensed X-Ray techs in California. Fluoroscopy radiation protection courses that offer CE / CME credits good for category A and A+ for ARRT*. Also good for California state technologist and physician Fluoroscopy CE requirements. A 23 credit course that meets general radiography requirements for ARRT* and in all 50 states and Canada, as well as Bone Densitometry CE Credits for CQR. Are your courses accepted by ARRT*? Yes. The American Registry of Radiologic Technologists (ARRT*) accepts all of courses for CE Credits. You may need to check with them to find out exactly what you need and when. Yes. The Texas Medical Board (TMB) accepts our courses for Medical Radiologic Technologist Continuing Education. See our page on TX requirements for more information. Yes. The The California Department of Public Health Radiologic Health Branch (CARHB) accepts our courses for Medical Radiologic Technologist Continuing Education. See our page on CA requirements for more information. The Florida Department of Health Bureau of Radiation Control (FLBRC) accepts our courses for Medical Radiologic Technologist Continuing Education. See our page on FL requirements for more information. When will I get my book in the mail? We do not mail anything to your home address. Everything is electronic. All of our courses are all paperless and online. See our help section for instructions. For all X-ray techs, mammography techs, nuclear medicine techs, radiation therapy techs, CT techs, etc., Category A credits are what you need for ARRT and state. A+ are accepted if you have them, but not necessary. Can I take the same course again that I took last time? In the past, you could not take the same course again in the next cycle. However, the ARRT changed it's rules in 2016. Now you can take the same course, as long as there is not a special circumstance like probation. Except for California, the other states allow this as well. What do I do after I pass? When you are finished with the course, you will need to log in to your registry's website and enter your credits. We do send credits electronically to Florida, but we recommend that you verify they went through. The ARRT* does not allow independent CE providers who are not national non profit organizations to submit credits electronically. Is there a test only option? Other providers who rely on paperback or hardcover books typically offer a "test only" option which discounts the cost of the book. Our courses are all online so we do not have a similar option. However, feel free to contact us for a group discount. - Credits that are accepted by any Radiologic Technologist, Nuclear Medicine, or Ultrasound registry in North America or US territories. - A system that works with your smartphone and pc. - Fast customer support if you need it. - Electronic reading material that you can keep and share. - An online post test that you can take from multiple devices. - A printable hard copy of the post test for offline reference. - A certificate of completion you can download immediately after passing the post test. - A full refund within 30 days if you do not pass or are not satisfied for any reason. - The lowest price with our Low Price Guarantee. All courses are e-books with post tests that are all online and compatible with your tablet, PC or smartphone. If you have technical difficulties, we will help you out. There is no mailing or faxing, no waiting, and no worries with our 100% satisfaction guarantee. Start right now and complete your credits today.